Never underestimate the power of a front door - it can have a huge impact on curb appeal! 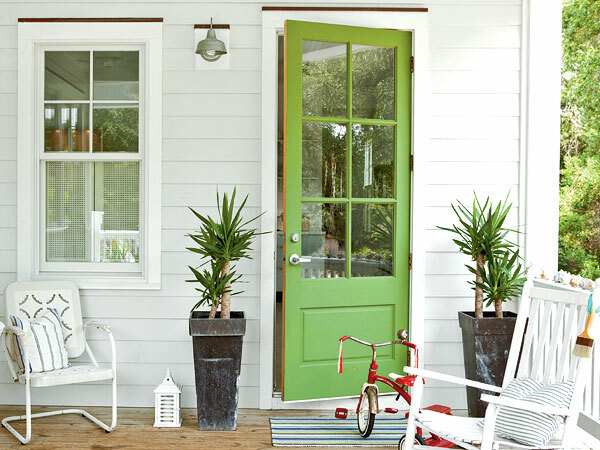 From the design, to the color, to the hardware, you can create quite a statement and give passersby and visitors a glimpse of the style that may await them on the interior. 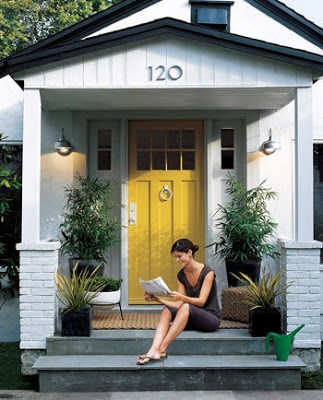 Here are a few inspiration photos. 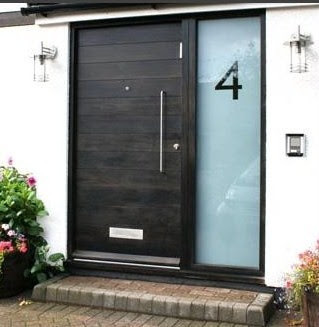 A very cohesive, modern entry. All of the details (hardware, lighting, house numbers) are well-chosen. A beautiful lighted style in a fresh, summery green feels relaxed and inviting. 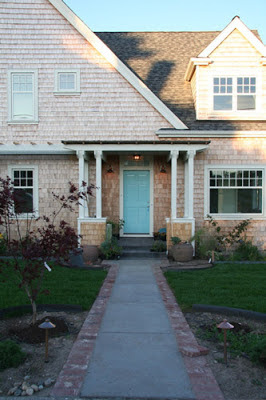 I love that the robins egg blue door on this Seattle home is so unexpected, yet works perfectly. A solid door is balanced out with a frosted sidelight. 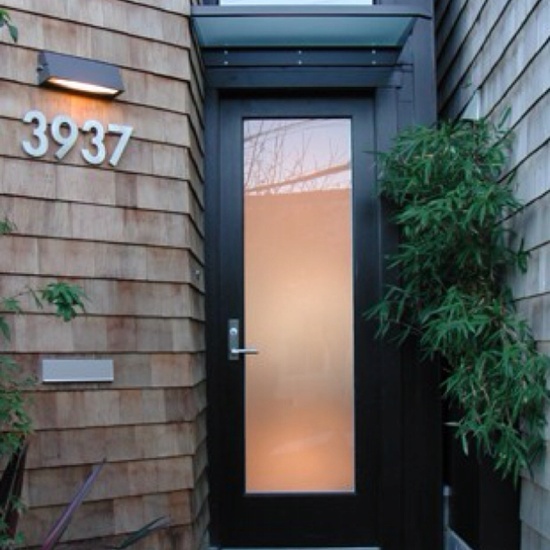 Incorporating the house number into the glass keeps things uncluttered. A richly stained wood is always a nice choice. 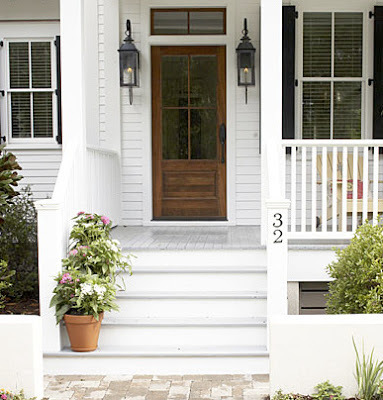 We love this simple and classic design (and those awesome sidelights). 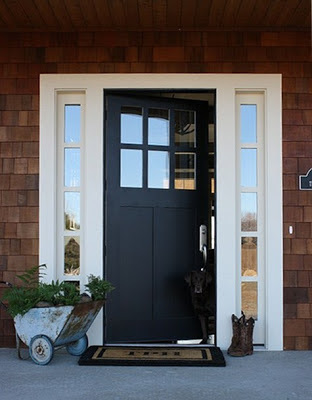 There are so many great door designs available if you want to start with something entirely new, but you can also achieve a bold new look with just a little paint and hardware!